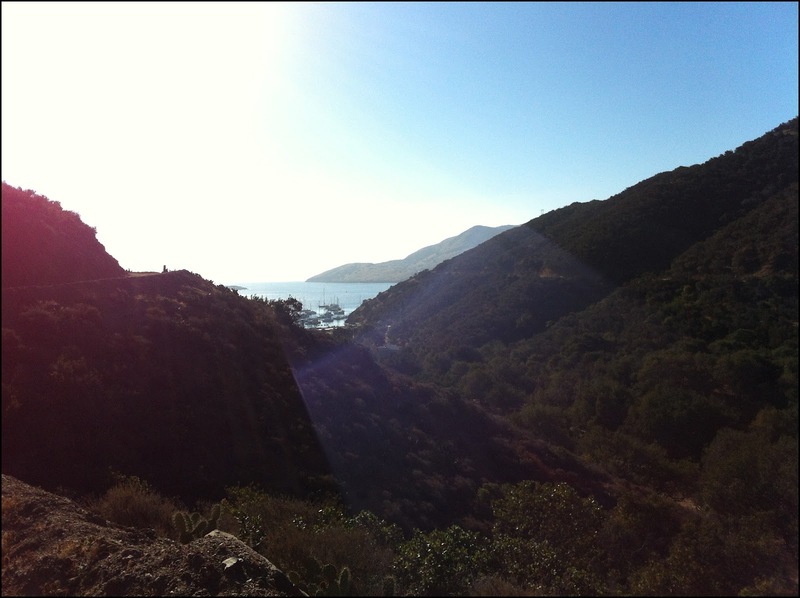 These pictures were taken during my morning runs a couple weekends ago in Two Harbors, Catalina. A few weeks ago I was at home with my Mom and Brother and they brought up the fact that they were going to take the boat out to Catalina, and that I should go with them. My Dad has a love for boats and every summer during our junior high and high school years my parents would take the boat over and we would spend a week on Two Harbors. The message in this post is that time with loved ones shouldn’t be put off for “when it’s convenient” or “when I have time away from work and my busy schedule.” There is also a distinct difference between quality time, and just “time together” which the following article from the NY Times discusses in more detail. I’ve come to realize over the past year that life is too unpredictable to let these fleeting moments you can spend with family slip by. If something happened to me or to a loved one tomorrow, I hope that I (or they) could look back and have recent memories of times filled with laughter and joy. I guess at the end of the day, quality family time, no matter how it isspent, is better than none at all. I personally am a big proponent of bringing the electronic gadgets along, but having the majority of quality time being an exchange of experiences, laughs, debates, and discussion. Either way, hopefully this post has inspired you to book a weekend or day trip with a family member or loved one, take time from your hectic schedule, and reconnect. Every year my Dad takes the boat out several times for diving trips and family time. Each time they ask me to join, and each time I either can’t because I am working, or because I’m worried I’ll get called by one of my accounts and I won’t be able to respond instantly. The theme of this year has been for me to work hard, and reward myself for my hard work by relaxing, spending quality time with my family and friends, and to de-stress so that I may be as productive as I can during actual working hours. During the weekend we ran, swam, tried paddle boarding for the first time, made fun of each other for our various proficiency levels on picking up this new hobby, taught the neighbors fun new expletives that one can yell whilst in the learning curve of new water sports, and made fun of my Dad’s music selection. Galen (my brother) and I did our best to remind our parents of the “good old days” when we were constantly underfoot. We had our laptops, cell phones, and Ipads, but we made an effort to spend most of our time interacting with one another, and only occasionally checking our electronic devices. Below is a picture of me on my first attempt at paddle boarding. Below is a picture of my brother. At 6:30 AM on Sunday my parents had the joy of waking up to a huge SPLASH as my brother jumped off the top deck of the boat (where he had set up his bed for the weekend) and me hearing this and yelling “Man overboard!!!! !” as you are supposed to do when one of the passengers on the boat you are on falls off. Yes, I am aware of the fact that Galen jumped and didn’t fall. If you haven’t been to Catalina Island I highly suggest checking it out for a week or a weekend. If you are into the night life scene or are more of a “city person” then try Avalon where they have a good amount of shops, restaurants, and bars. If you want a more quiet, mellow, and active experience then hit up Two Harbors but be sure you make camping reservations or Banning House Lodge reservations in advance. Also please make sure to watch the movie Stepbrothers because if you post anything about going to Catalina on your Facebook page, you are bound to get a string of comments about “The Catalina Wine Mixer!!! !” which is a hilarious scene in this movie.